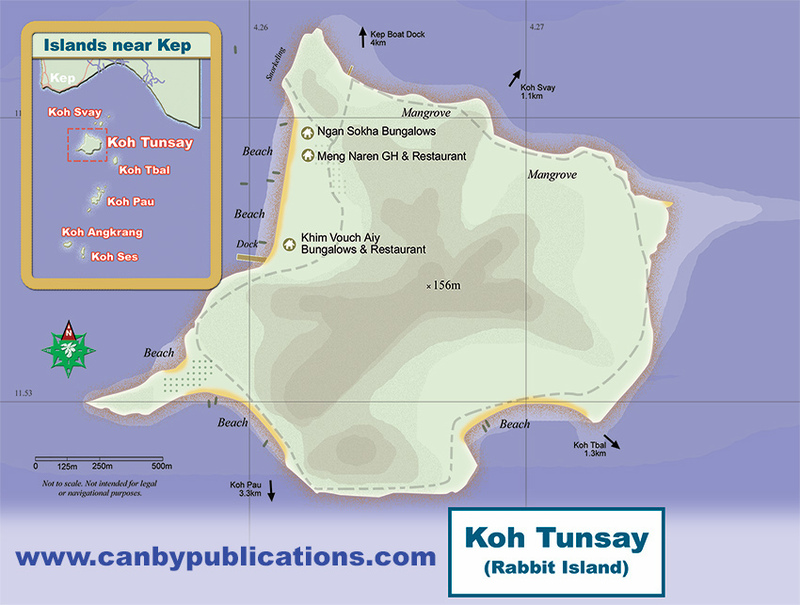 Rabbit Island (Koh Tunsay) is a small tropical island located about 30 minutes south of Kep by local boat. The island is undeveloped except for some rustic bungalows and a couple of beach shack restaurants. Secluded white sand beaches dot the edges of the island, backed by a hilly coconut palm interior. Most services are near the west side beach. The surrounding waters are relatively clear and warm, offering some snorkeling opportunities around the rocks. Coral is scarce but colorful fish abound. You can stay on the island or just make a day trip of it. Rooms/bungalows on the island generally run $10 or less. 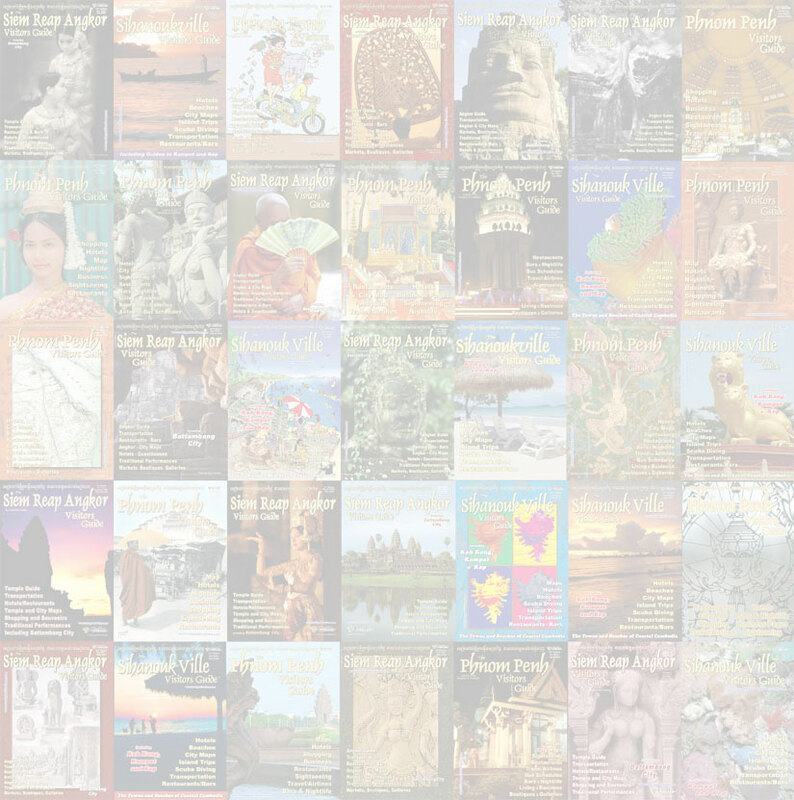 Arrange a boat trip to the island through your guesthouse in Kampot or Kep or just go to the Koh Tunsay Boat Dock in Kep town next to the Long Villa Restaurant. Boats are almost always available. A round-trip trip to/from the island runs $7-$10/person or $25 for the whole boat. The round-trip price is the same whether you stay a few hours or a few days. Tour operators in Kep offer day packages starting at about $7/person inclusive.